Upstairs where the museum is located was the territory of the market commissioners. Two tiny rooms for transacting the business of running the market and one very large elaborate hall with three gas chandeliers where they held meetings and elegant social functions. The building to be used this way until 1861. In the spring of 1861, thousands of young men were pouring into Charleston to become Confederate soldiers and defend the South. They were given supplies,weapons and their orders. It was here in this building where many of these young men had danced not long before they became soldiers. 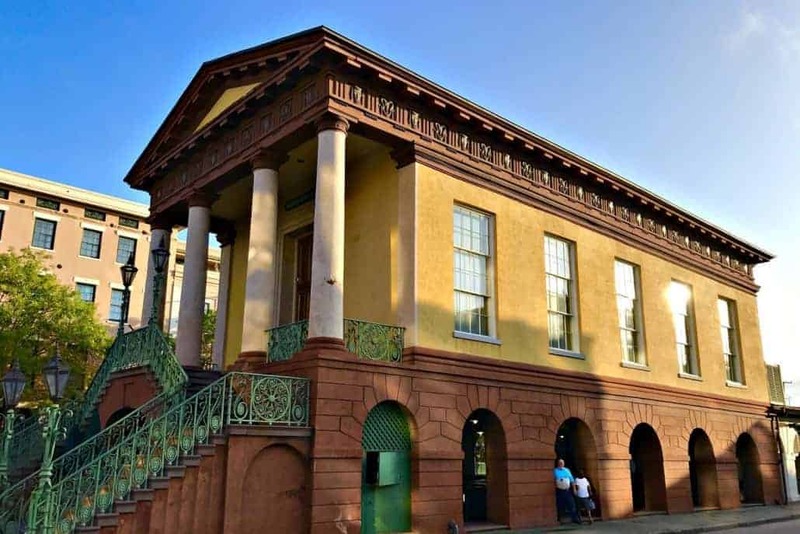 In 1894 the Charleston Chapter, Daughters of the Confederacy was founded. They immediately began to collect relics and the collection grew quickly. By 1898 this group of ladies became Charleston Chapter #4, United Daughters of the Confederacy. In 1899 the reunion of the United Confederate Veterans was to be held in Charleston. The men decided to help these ladies form a permanent Confederate Museum in Charleston. A call was sent out asking former soldiers to bring their war-time possessions to the reunion for donation to the new museum. The enthusiastic response showed that a large building would be needed to house the collection. Since the Mayor and the city councilmen were all former Confederate soldiers, it was only natural that they selected Market Hall for this purpose. The same building where they had gone to become young soldiers became the place they brought their relics to be preserved for the future. The Confederate Museum opened here is 1899.